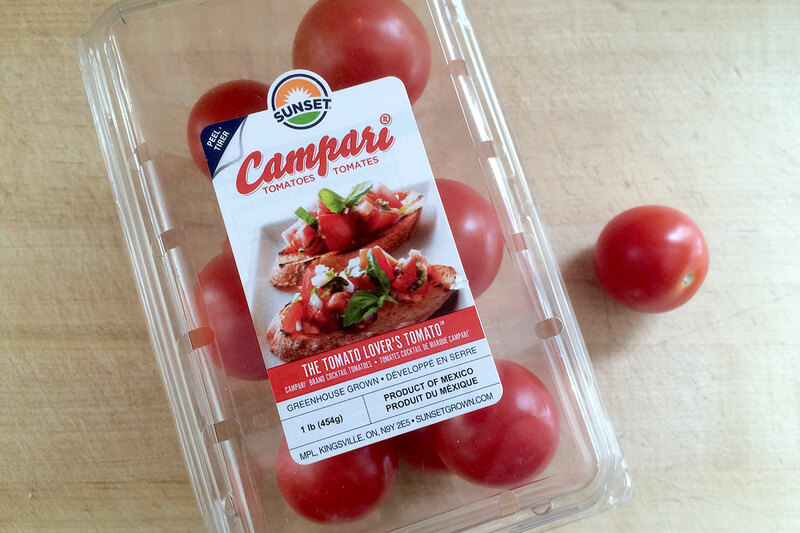 Campari Tomatoes are perfect for snacking, roasting, salads and for recipes like blender salsa, gazpacho, soups and bruschetta. They make a fantastic Caprese Salad when sliced and served with fresh mozzarella cheese, hydroponic basil and olive oil. 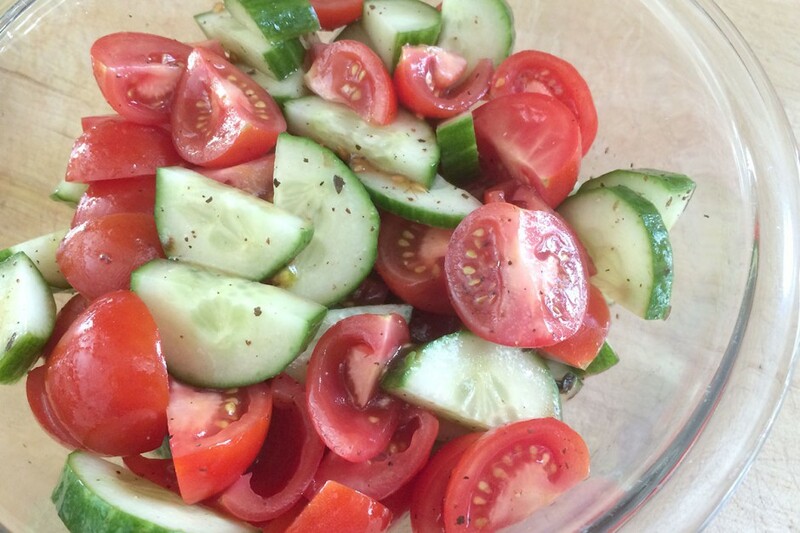 I love to make a salad with wedged Campari Tomatoes, sliced Seedless Cucumbers and Sweet Onions tossed with Balsamic Salad Dressing. 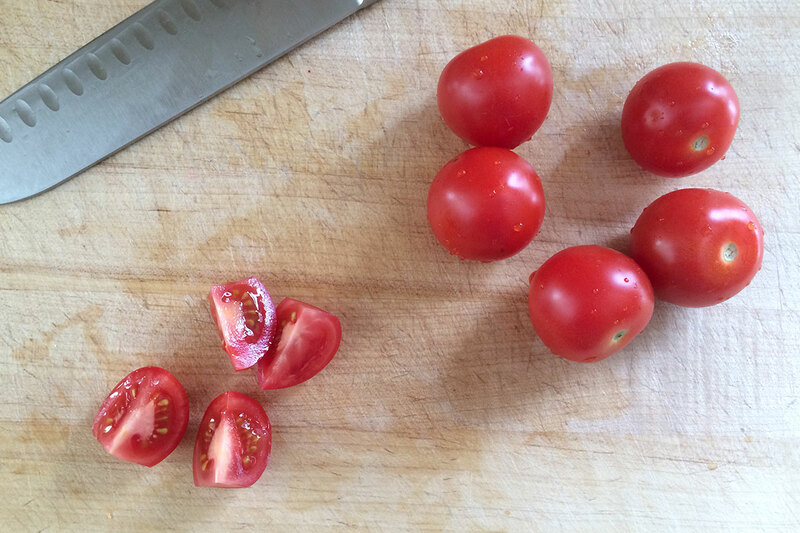 While refrigerating Tomatoes may help them last longer, room temperature is highly recommended to help the fruit maintain its best flavor and texture. 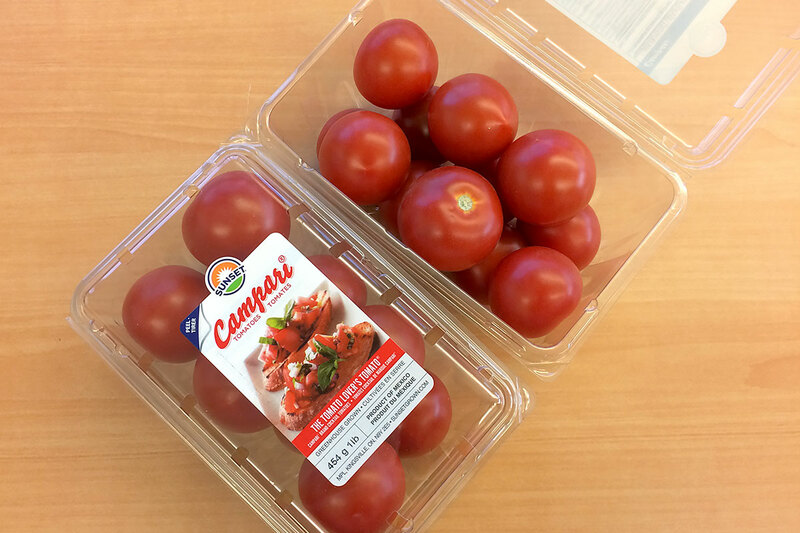 Select Campari’s that have a bright red color and have healthy stems or calyxes, avoiding ones that appear wrinkled or wet.